Can you confirm these amateur observations of Lygodactylus madagascariensis? Diagnosis Diagnosis. 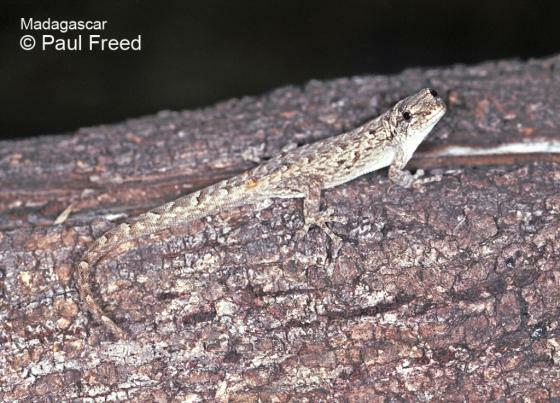 This species is the most common forest-dwelling Lygodactylus in the Sambirano region in the far northwestern part of Madagascar, and can clearly be assigned to the L. madagascariensis group by sharing the characters listed in the group definition above. It can reach rather large sizes of 35 mm SVL (37 mm in the subspecies petteri). From L. miops which is common in eastern rainforests (reaching the North East region), L. madagascariensis differs by lacking enlarged tubercles at the base of the tail as well as enlarged dorsolateral tubercles, characters that are often visible in L. miops, and by having four postpostmentals scales (usually five in L. miops). L. guibei has very distinct dorsolateral tubercles and spiny tubercles at the base of the tail (absent in L. madagascariensis). 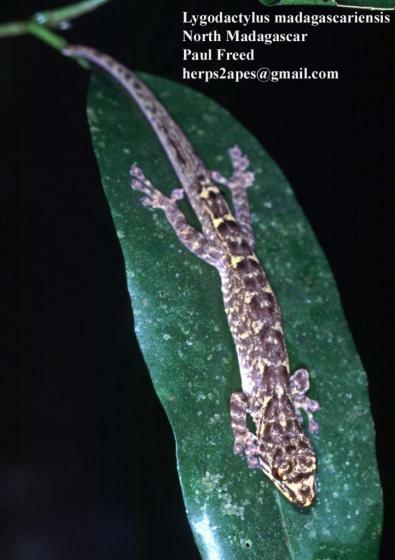 L. expectatus often has two dark spots on the neck (absent in L. madagascariensis), and is characterized by the size of the dorsolateral scales which are larger than the vertebral and lateral ones (not distinctly enlarged in L. madagascariensis). L. rarus has a typical colour pattern with a few distinct light-dark crossbands on the tail. Etymology From its general provenance, Madagascar. petteri: L. m. petteri has been dedicated to Jean-Jacques Petter.